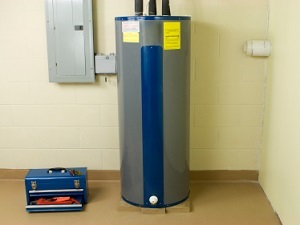 An efficient water heater will be a major boost to your home's energy efficiency. Water heating is important, and not just because it feels good to step into a hot shower. Water heating is the third-largest energy expense in most households, coming in just behind heating and cooling. Having an efficient water heater will make a major difference not only in your utility costs, but also in the comfort of your home. At Dr. Energy Saver, we specialize in water heater installation and repair services, and we can help you get the right system for your home. Call us today to learn more about how your water heater is impacting your home and get an estimate on an energy efficient upgrade! Standby heat loss: A tank water heater typically keeps water warmed to around 120-140 degrees Fahrenheit regardless of whether or not the hot water is being used. Unfortunately, the stored water will cool below the tank's setting, causing the electric or gas heat to turn on to reheat the water. Needless to say, this is an inefficient and expensive process. Limited hot water: Does the last person to shower in the morning in your house run out of hot water? This is a common problem created by the limited size of tank-type water heaters. If you run multiple sources (shower, dishwasher, laundry, etc) back to back or concurrently, your water heater may not be able to keep up. Corrosion and sediment: Over time your water heater tank can corrode or collect settlement, which will limit the efficiency of the system while also shortening your tank's lifespan. Leaks: Leaks are always a risk with a tank-type water heater, and a significant leak or full rupture can cause thousands of dollars in property damage. 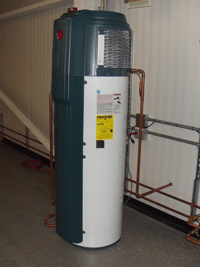 Heat pump water heaters are a highly efficient upgrade for many homeowners. If you're looking to save energy and money, insulating your water heater and hot water pipes is a great way to limit standby heat loss and create a more efficient system. For homeowners looking for even better savings and performance, installing an ENERGYSTAR® rated water heater or a modern tankless water heater could be the right option. Your local Dr. Energy Saver dealer will help you choose the water heater that best suits your needs. If you're looking for better performance and improved energy efficiency from your water heater, Dr. Energy Saver is here to help. We have complete solutions for all your installation, maintenance, and repair needs, and we'll help you save money while enjoying a more effective water heater. Contact your local dealer today to get started with an evaluation and estimate!